Reason offers only one mode of learning, understanding, and meeting challenges. Greater intelligence arises to the extent we integrate other modes including (but not limited to) intuition, imagination, emotion, stories, aesthetics, movement, spatial sensing, habit, and the intelligences of nature and of transcendence. So engage them all to enhance individual and collective well-being. Most people think of intelligent people simply as smart. These people can think logically, or may be good at math and language. But not everybody is intelligent in all those ways. They form a cluster of linear kinds of an intelligence which are favored in our culture, and people think of that as being the only way to be smart. But there’s many different theories that talk about multiple intelligences or multi-modal intelligence. I prefer “multi-modal intelligence”, because I see these ideally as different modes of one whole thing which we can develop much more of. Other people prefer to call it multiple intelligences. Howard Gardner was a famous theoretician of that, and popularized the idea. Others call it learning style or cognitive style. The idea is, we actually do use all of these without necessarily calling them intelligence. Developing them all is ideal. One person will be better at reason, somebody else will be better at emotion, and somebody else will have more spatial capacities. Part of this is about developing all of these in ourselves, but part of it is recognizing that we all have strengths and weaknesses and that we should keep this in mind when we get together in groups, teams, or in the larger society. We should think of how to integrate all of these in whatever is going on. We should see that what I’m weak in, you may be strong in, and think about how we might work together even though we may have very different ways of learning and responding to things. We can weave those together into a coherent whole, because that will make us even more effective. So this is an aspect of collective intelligence as well as of individual intelligence. I should go over some of these different capacities a little bit. Intuition is like a holistic encounter – sort of feeling, seeing, sensing into the whole of something, and sometimes this happens in dreams, sometimes it is a gut response. Some of the most important scientific developments have been intuitive. David Bohm was a quantum physicist. He used to feel inside himself the relationships that he would then translate to mathematical equations to describe certain quantum phenomena. And the famous double helix spiral of the DNA came to the guy who discovered it, James Watson, in a dream about a spiral staircase. Also people often working on something in a linear logic way at times feel sort of stuck, developing more tensions and information as they go along, and then somehow there is a flash of insight which brings it all together or goes beyond what they saw before, so that’s another phenomenon of intuition. Imagination is related to that, but it’s like visions, being able to put things together in our minds with images. The word image is closely related to imagination, sensing relationships and translating them into images. Emotional intelligence has to do with how well we sense, we know, and we own and use our emotions as they unfold. And how well we can sense into the emotions of other people and relate to them in various ways that are useful. It also covers how well we can control our emotions when it’s inappropriate to express them, but be able to express them when it is the right time and place. There is a whole world of dealing well with our emotions and having empathy as a subset of emotional intelligence. Empathy is the ability to step into someone else’s shoes, to see the world through their eyes. As a form of intelligence, empathy is about bringing that empathic stance into the situations we’re part of. We know the diverse people involved in the situation, we understand their different perspectives, and we bring our empathic understanding into the the effort to deal with the situation. Our empathic capacity helps other people feel heard and makes us and our group more able to take into account (rather than just ignore or dismiss) the perspectives and energies that various people bring to the table, enhancing our wisdom-generating capacity. Then we have narrative intelligence. Some people are really good at telling stories, making sense of stories. I remember reading a psychological book with my then wife. She read all the case studies and I read all the theory. I thought “why read the stories, since the theory is what is most important?” But the only way she could make sense of it was through reading the stories, since the theory seemed so abstract. These are two different intelligences at work: I was using analytic intelligence and she was using narrative intelligence. And then we have aesthetics. It’s not just the beauty of pictures and the beauty of your space, although those are part of aesthetic intelligence. But beauty can also be at the heart of activism. Because poverty isn’t beautiful, war isn’t beautiful, pollution isn’t beautiful, prejudice isn’t beautiful, and so on. Our sense of repugnance and attraction has power to shape how we respond to things. And it’s possible to have a whole movement based on beauty. We want a beautiful world, what’s involved in creating that? Somatic intelligence is a cluster of ways of knowing and relating that all involve our bodies, often in connection with some other form(s) of intelligence. Movement, being able to move our bodies around, sensing meaningful sequences of bodily motion and knowing where we are in relationship to things, is part of this. From dance and martial arts (and all their lessons for other parts of our lives) to simply not bumping into things, being able to track and direct the motions of our bodies in physical space is extremely important for adaptation and learning. A lot of what is called ‘street smarts’ includes awareness of the location, attitudes, and movements of our own and others’ bodies. This is also a part of emotional intelligence, noticing how people are moving, holding or placing their bodies, what’s often called “body language”. 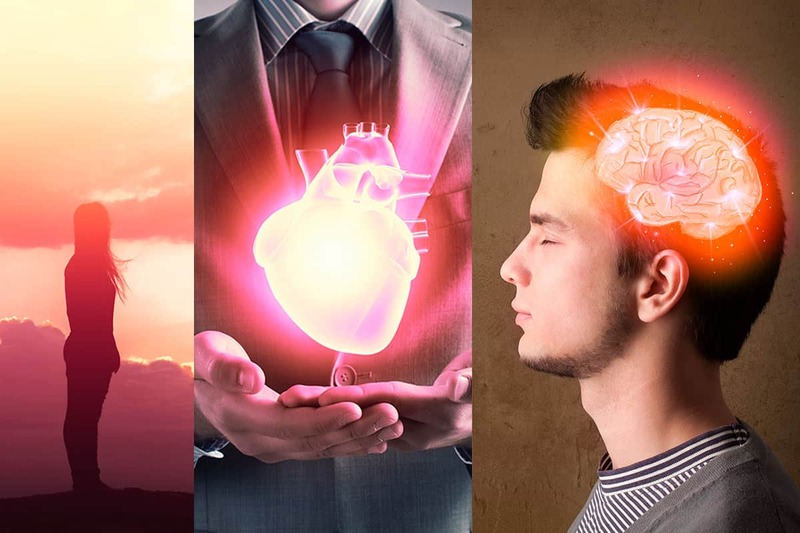 Somatic intelligence also includes being “tuned in” to what’s going on inside our bodies and – combined with empathy – being tuned in to what’s going on inside another person. Spatial sensing and design is another aspect of intelligence which architects and designers use a lot. The placement of things– how things are arranged – has a gigantic impact. The practice of permaculture is based on where things go in relationship to other things. It also has to do with being able to think and design things ahead of time before we have to do it in the world. It is an interesting companion to stories and imagination in terms of design capacity. Even habit – our ability to take some new behavior and incorporate it into our life – can be viewed as a form of intelligence. People don’t necessarily think of that as intelligence, but it is if you want to be able to respond appropriately to certain circumstances. Having habit patterns that fit those circumstances, practicing them so that they come smoothly to you as part of your being. To be able to respond appropriately is a big part of what intelligence is all about. Then there’s the intelligence of nature and transcendence. There’s a whole field called biomimicry. It looks at engineering problems that natural organisms and natural systems have solved and what we can learn from them. For example, touch fasteners like Velcro were developed by the Swiss electrical engineer George de Mestral who in 1941 went for a walk in the woods and wondered if the burrs that clung to his trousers — and dog — could be turned into something useful. Nature has solved many problems which we are just beginning to understand as problems. We can look to nature and figure out what’s going on and learn from it, to say nothing of just overall patterns of evolution and change. Nature is the big grandmother of all change and adaptation and learning. It takes a long time for nature to learn. We are like nature’s intelligence and creativity on speed. But nature’s learning has been going on for a long time, and there’s lots to know there and we can model our behaviors and responses on that. Transcendence is being lifted out of whatever box you’re in. There are ultimate spiritual transcendences into the nature of reality and our relationship to it at very very high levels embodied by mystic and meditative traditions. But there’s also just the ability to get “out of the box”, to think differently about whatever it was you were thinking about before. It is the opposite of habit, it is flexibility, the ability to step out. Interactions between diverse people can help us to step out of whatever box we are in, since we have to look at things from their perspective to at least some extent. There are also other challenges to our current thinking that can help us step out. These are some of the different dimensions of our ability to learn, our ability to solve problems, our ability to understand what is really going on. So to the extent we can pull them all together, individually for ourselves, and collectively in our groups, we can use our multi-modal intelligence. Very often those different capacities make us feel like we have to fight with each other. Reason is more important than emotion! No! Empathy is more important than reason! And so on. Such arguments are beside the point. We need to figure out how to have our reason guided by our empathy and our empathy guided by our reason. We need to weave them all together. So that’s what I mean by multi-modal intelligence. I read about the Turtle Island Fund in Carolyn Shaffer’s Creating Community Anywhere (p. 277). They would take applications for grant funding and meditate over them. They would study the applications and gather all their data – doing the rational fact-based work – and then the board of the foundation would have a short group meditation. They then would each share what came up in the meditation. Collectively they would explore what things came up and had to do with this grant and whether they should approve or not. They basically base their grant approval on their intuition from meditation, after it was informed by their analysis of the ideas, facts and reason. In the end it was intuition. They would then write the people why their grant was approved or not approved. Apparently almost always this resulted in positive results for the applicants, even when their grant request was rejected. I find that absolutely fascinating. I once participated in The World Game that was created by Buckminster Fuller. It has a lot of rationality: you learn about statistics and international dynamics. You are on this big map of the world that covers a whole basketball court and people are interacting. They are doing certain things with each other, they are noticing the reactions that happen because of their different perspectives as representatives of different countries or institutions. The experience is a bodily, rational, emotional experience – a multi-modal intelligence experience with all sorts of engagement. Jon Stewart, the comedian, uses reason, entertainment, humor and story to create deeper insights about what’s going on in the news. By survey he was once found to be the leading source of dependable news for people. He thought that that was totally bizarre, since he was thinking of himself as an entertainer. But his entertainment created meaning for his listeners. Graphic recording is another example, taking the relationships and meanings that surface in dialogue into graphic, aesthetic form. Multimedia presentations of course are another expression of that mode of intelligence.